What’s the Project? If you need a cute and fun Halloween treat idea, these Halloween spider cupcakes are easy to make and are perfect for kids or for parties. You’re going to love making them! I’ve got a major thing for making cupcakes. Irresistible, decadent, chocolately cupcakes. My friends know it about me, in fact, do you think that’s why they are my friends? Do they just love me for my cupcakes? Hmmmm….. Either way, it’s fine, because I’ve got to have someone to bake for right? I can’t eat them all myself. 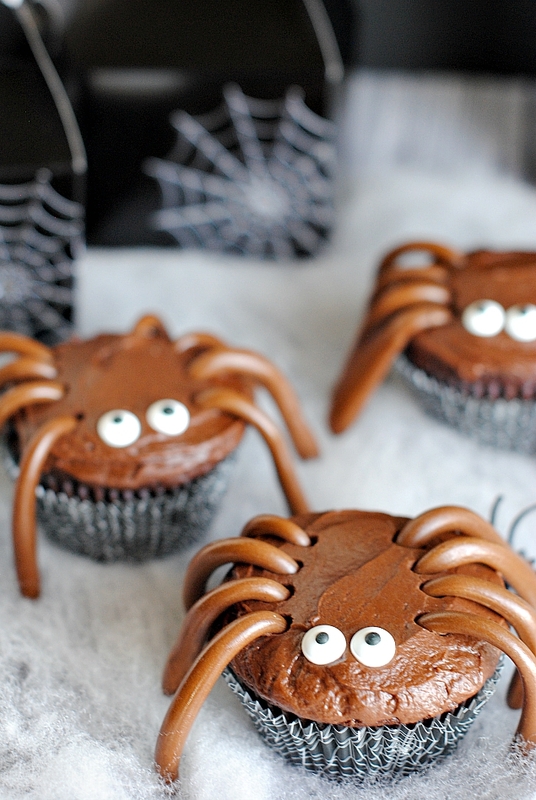 Here’s a fun spin on a regular cupcake-I made super cute Halloween spider cupcakes. They’re easy to make, even something that your kids could help with. And you could make the cupcake part any flavor you want! They’re cute and simple. Just a simple chocolate cupcake and Tootsie Roll legs. 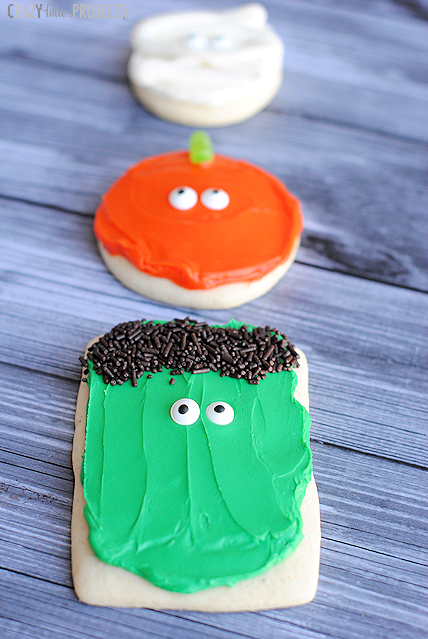 With cute edible eyeballs. 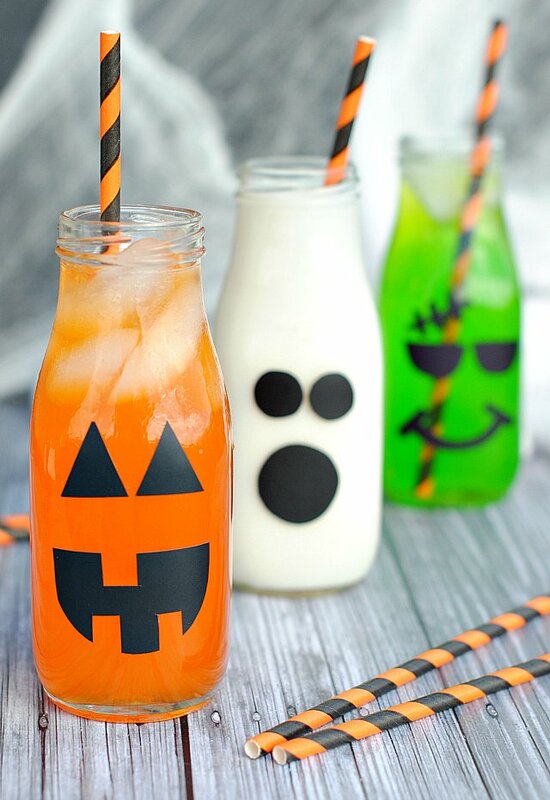 You can make them for the kids or you can let the kids make their own! And I also included a cute treat bag that you can package these darling little spider cupcakes up in and take them to a friend! Bake your cupcakes and frost them with chocolate frosting. Add candy eyes. 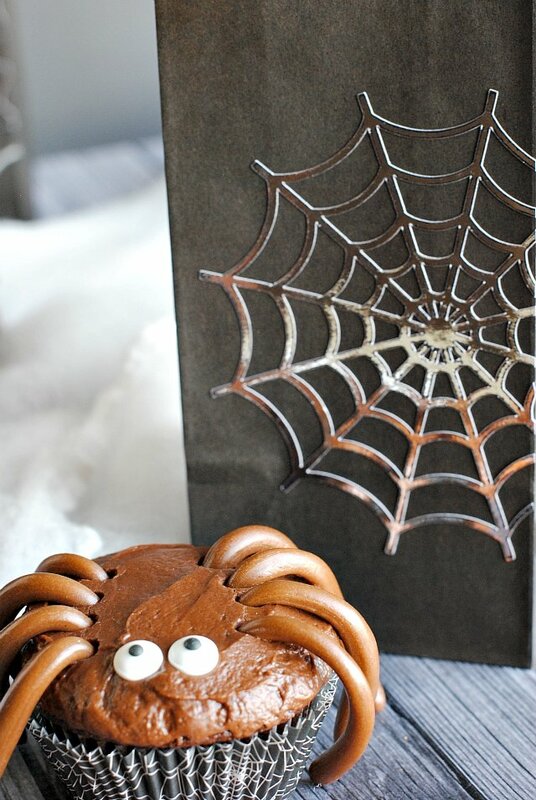 To make the cute treat bags, you will need spider web stickers. 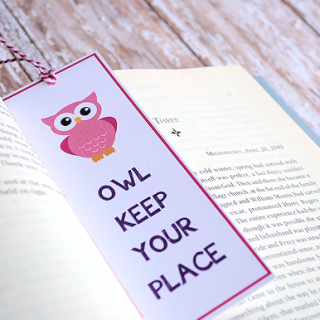 If you have a Cricut you can make your own, otherwise, grab them on Amazon or at a craft store. 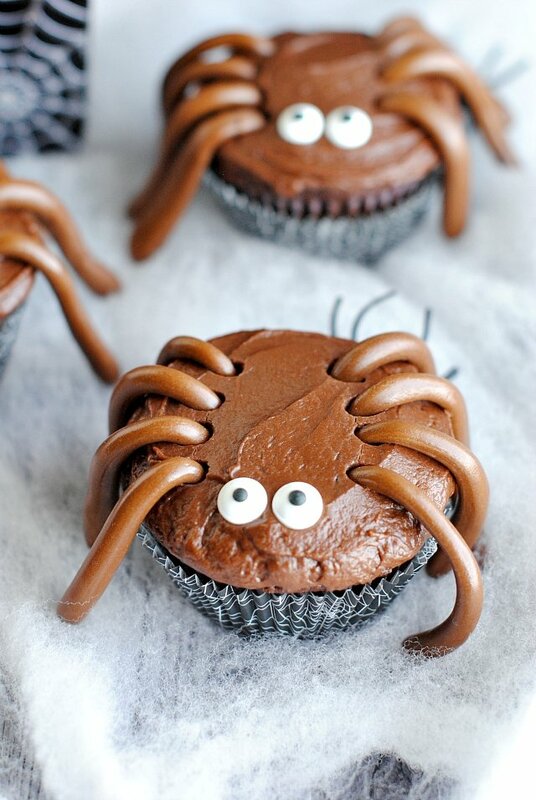 I hope you have a blast making these darling Halloween spider cupcakes and taking them to your friends. Then maybe they’ll just love you for your cupcakes too. First of all -thanks for coming out on a Sun. with 2 great ideas. 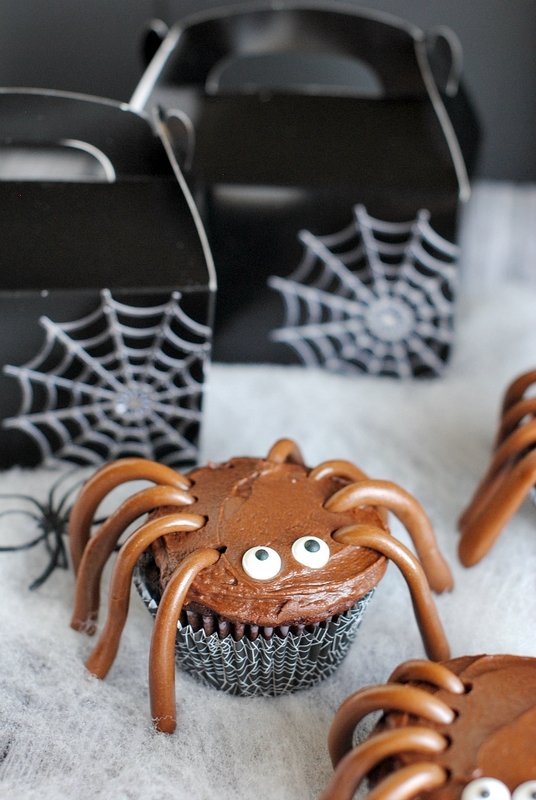 Spider cupcakes have been around for while but have never done them because they involve cutting pretzels for the legs. 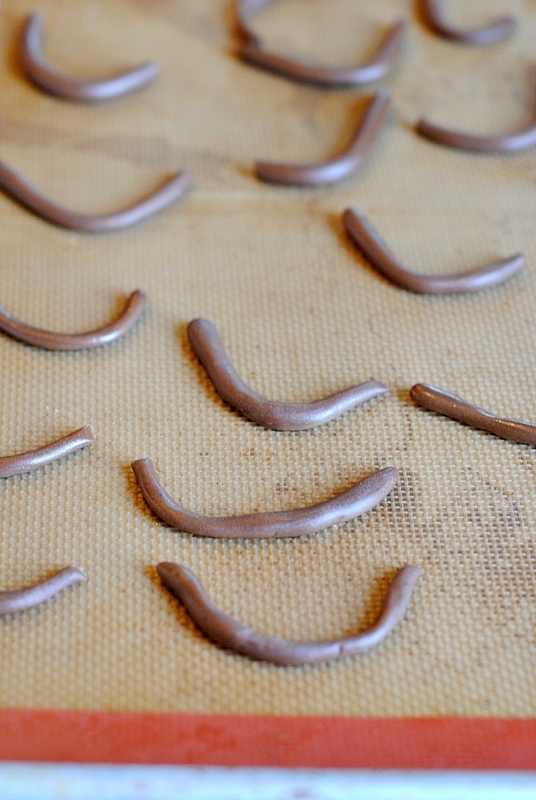 Sounds easy enough but pretzels have a mind of their own when it comes to cutting hem. YOUR idea re making the legs from Tootsie Roils solves that! Some questions (1) 4 reg. or midget size tootsie rolls? (2) Roll them so they’re _____ inches long? (3) OK to put the legs on once they’ve been in the refrig. for a few min. or should they be added just before serving? I used the little midget size ones and just rolled each and cut it in half and bent it. They will lose their shape over time, so it’s best to refrigerate or freeze them and then add them right before you are ready to serve.